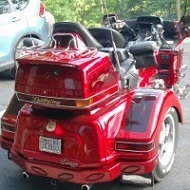 I need a new thermo fan switch on my 1200 gold wing. Can anyone tell me the correct wrench size to remove the old one? I could go down and access it and check it for size, but then so can you. Unless someone just finished the job, they will have to as well I think. I found it in an old post. just put a wrench on it and see if it fits.